If you are looking to find the best deal on a luxurious vacation for less, you’re in luck! Winter is one of the best times of year to find killer deals on luxury travel. The holidays are the perfect time to splurge on vacation travel and, for many, are the perfect time to plan a get-away. The fall and winter months allow travelers to take advantage of off-season specials that can make even the priciest destinations an affordable option. If you’re thinking about traveling in the upcoming new year, be sure to capitalize on some of the season’s best deals for luxurious travel. 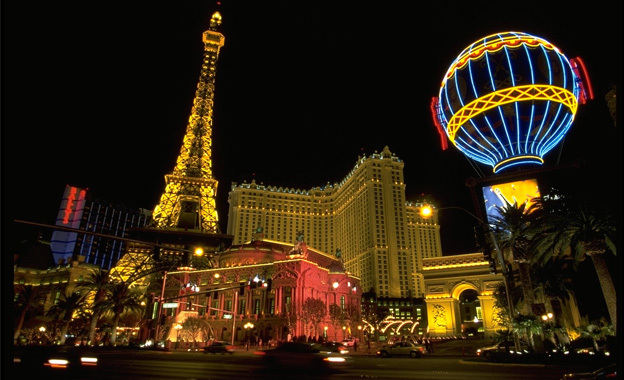 Las Vegas, Nevada is one of the best last-minute vacation destinations due to its wide array of hotel accommodations, entertainment and airfare specials. This isn’t a destination that experiences an off-season and there are always fun activities planned in the city year-round. The best time to visit the gambler’s paradise is during December and January when most individuals are spending the holiday season with family and friends. Visitors can choose from an array of hotels priced for every budget. Choose from the luxurious Mediterranean-inspired architecture of the Ravella at Lake Las Vegas, which provides accommodation for between $100 and $150 a night. Or, visitors can choose from the more moderately priced Imperial Palace Hotel & Casino, which provides nightly accommodations for between $50-$70. Surprisingly, the magic of the Hawaiian Islands are in reach – but only if you plan to visit the island locale during the off-seasons from April to June and from September to December. A lull in tourism has forced the big island’s travel industry to create more appealing travel offers for mainlanders who must incur peak seasonal airline costs just to get to the island. Recent restructuring in the airlines industry has made travel to Hawaii more affordable and more convenient now that carriers like Hawaiian Airlines and Alaska Airlines offer daily flights to the island. 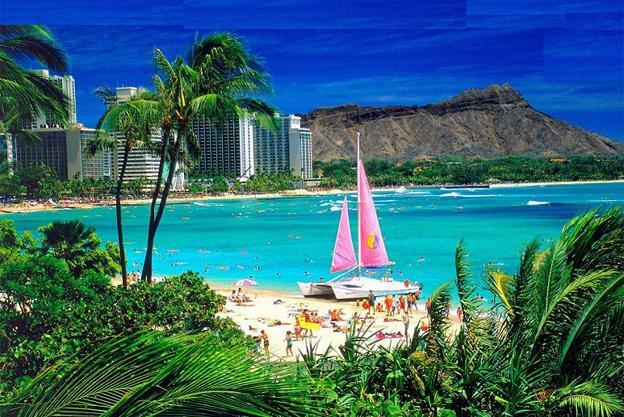 Tourists looking to enjoy the beauty and beaches of Hawaii can choose from a variety of hotels located throughout the big island and surrounding areas. Visitors looking for a luxurious get-away will be impressed with the Kapalua Maui Resort & Luxury Hotel, which offers accommodations starting at $299 a night. Budget-conscious spring breakers might be more comfortable with the $100 a night rates offered by the Kona Seaside Hotel or the Naniloa Volcanoes Resort. 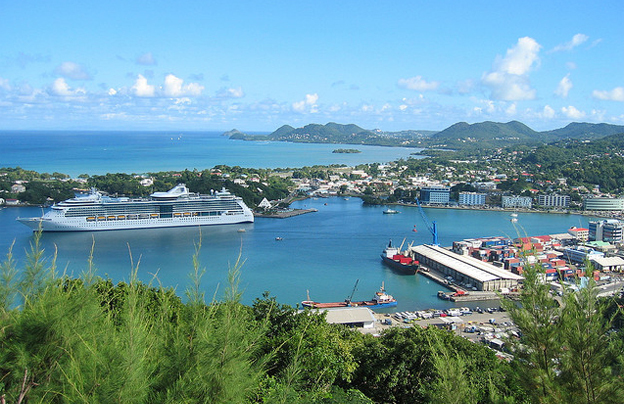 If you are looking for an international tropical vacation with stunning beaches, mountains, rainforests and a variety of fun outdoor activities, St. Lucia is the perfect destination. The island serves as a perfect place for a romantic get-away for two or family vacation. The best time to visit St. Lucia is from December through April during the off-season when hotels are offering special incentives to visitors. Tourists will pinch themselves at the island’s affordable accommodations, which range from $60 a night at The Downtown Hotel in Soufriere, to $140 at the Palm Haven Hotel located in Gros Islet. Sally Stolmeyer the author of the “Luxurious travel destinations for less” shares her opinions about luxury resorts around the world for avid travelers. She has been writing about luxury vacations for over twenty years and brings this wealth of knowledge to her readers.